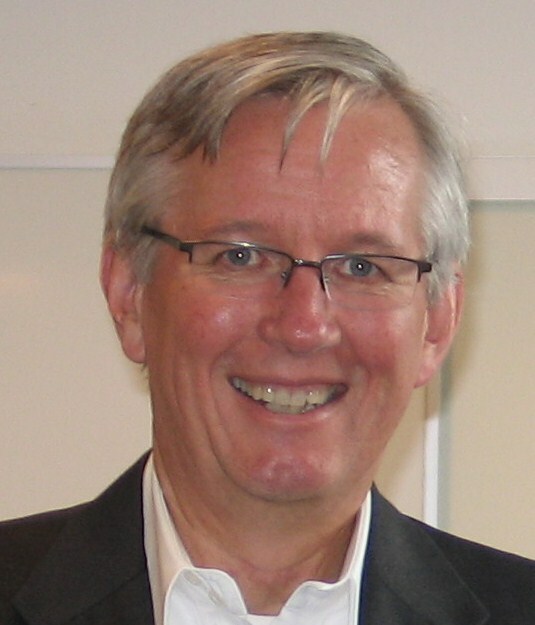 About 3-4 years ago, I was participating in a discussion, at the time hosted by CEB, now Gartner. It was a group of very bright thinkers/practitioners in sales and marketing. We were discussing the future of sales and marketing–things we saw happening, things we believed needed to change. In that period, and since, there has been overwhelming evidence that would drive one to be very dark about the future of selling. Year after year, the percent of sales people making plan continues to decline. The average tenure in a sales job, whether it’s sales management or individual contributors continues to plummet. 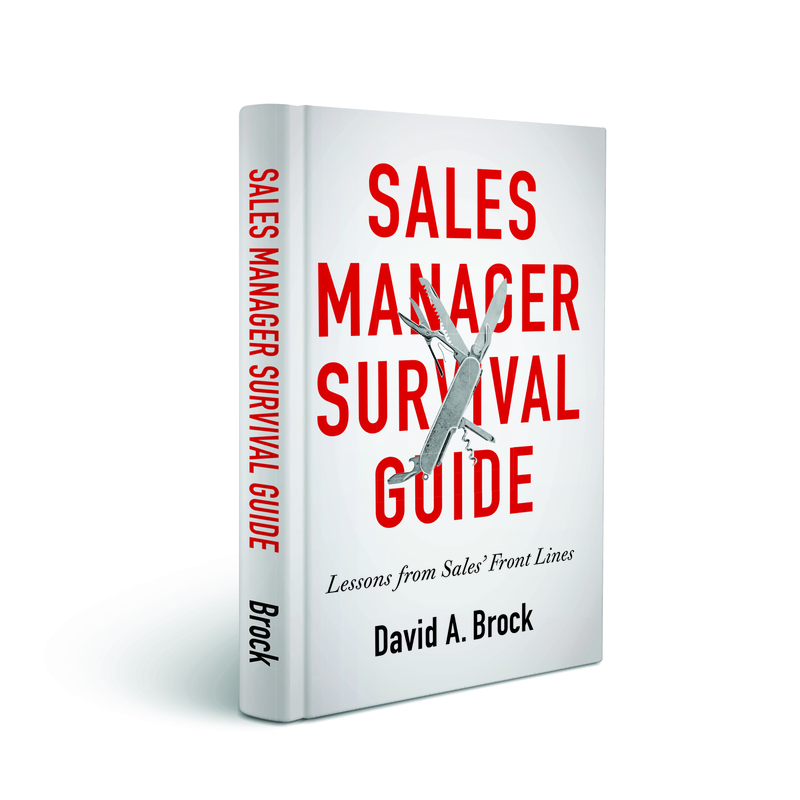 Depending on the survey, tenure of sales managers, is anywhere between 18-22 months. Sales people change jobs, every 20-22 months. What has traditionally “worked” seems to be not working any longer. But sales leaders and people seem to be doubling down on these efforts. Endless market research proclaiming the “death of selling,” citing changing buyers, new technology as eliminating millions of selling jobs–and there is some validity to the points they make, though I tend to disagree with the conclusions there will be fewer sales jobs in the future (more later). Beyond this, there are the things we do to ourselves that would lead one to be very negative about the future of our profession. The endless, mindless debates of social selling, cold calling, to prospect or not to prospect. The mechanization, assembly line vision of selling–an approach that focuses on our efficiency (not effectiveness), moving customer widgets from station to station, at each stop a specialist does her specialized job, then passing the customer to the next station. All the time, ignoring the customer buying experience and their own journey. This couples nicely with the previous point. If we need to produce more, we just up the volume in the assembly line. The naive/wishful thinking that technology, particularly AI/ML will save the day. It will suddenly bring us buying ready customers that all we need to do is accept the PO. If this, in fact is true, 100% of the process can be automated. And the endless stream of “experts” exploiting the wishful thinking by declaring the secret to sales success is just doing this one thing. Unfortunately, as one counts the one things, there end up be 1000’s with most conflicting or contradicting each other. On top of this, as one talks to corporate executives, there continues to be a growing “anti sales” sentiment. Possibly driven by the poor results, possibly by the expense, possibly because there is a longing for a way to create revenue without needing to sell–that is just getting buyers to buy (Hmmmmm). Given these scenarios, it’s easy to be dark about the future of selling. I found myself falling victim to that kind of thinking. In recent weeks, it has caused me to rethink what I’m doing and whether I’m beating my head against an impenetrable brick wall. Suddenly, I had a revelation (in my terms, a brain fart). I realized that I was getting distracted by the minutiae and had lost sight of the bigger picture. In some way I was becoming so narrowly focused on the constant barrage of “stuff” that I was losing sight of the forest for the trees. I decided to step back, looking at things from the “demand side,” what drives the need for selling? The only place to start is with the customer, why might they need sales and sales people? As usual, when one starts with the customer, one gains great clarity. Every industry/market is going through extreme disruption, driven by the convergence of a huge number of factors in one time. Changes in society, economies, expectations of consumers (whether individuals/buyers). Businesses are facing massive changes in business models, driven by changing customers, socio/political structures, all aided (?) by technology. Transformation of all kinds, including digital, is the standard under which all businesses and organizations must operate. The very nature of work is changing in every segment. As each organization assesses these massive shifts, it is overlaid with massive complexity, overwhelm, overload, distraction, risk/uncertainty, and fear/wonder. The people challenges–physical and emotional are unknown and massive. The reality is companies and organizations cannot figure these things out themselves. Partly because they don’t exist in isolation but a socio/market ecosystem. Partly because no one has the answers, let alone the questions. People/companies will need help! And the demand for this help is incalculable–but, sufficiently large would be an understatement. As we shift from the “demand side,” to the “supply side,” we can start to assess the opportunity/challenge. Certainly, new business opportunities, solutions/products we have never imagined will emerge to help fulfill the demand. As always, there will be huge need for consultants, providing endless leather bound recommendations about what companies should do. And there will be huge need for services organizations to help companies design and implement solutions. At the same time there will be a huge need for sales professionals. After all, the job of sales is to help customers understand challenges/opportunities/problems, as well as help them understand and plan for the changes the solutions demand. Because of the magnitude of change on the “demand side,” the “supply side” opportunity is immense, but different than what has been. But because the problems/opportunities our customers (and we) face are massively different from what has existed in the past, we will need to reassess what selling is, why, how, what we sell. We will have to reassess everything about culture, organization, talent, strategy, processes, systems, tools, programs, tactics, and metrics. 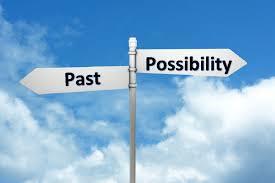 What has always worked in the past will be less effective in the future. The challenges our customers face are profoundly different, as a result we have to change what we do. 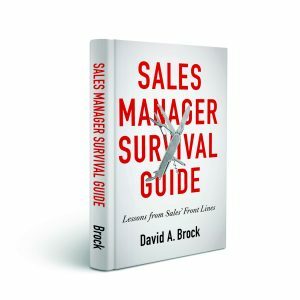 What does this mean from the point of view of the number of sales jobs, many say the numbers of sales jobs will plummet. I tend to disagree. Many traditional sales jobs will disappear, the things those sales roles do will be fulfilled through other channels. My belief that the number of next-gen sales roles will increase is based on the magnitude of the changes our customers face. No segment is immune, every sector, every market, every business will be impacted by the transformation. As a result, the number of organizations/people needing help will be far greater than what we see now. In short, we will see a renaissance–a rebirth–of selling. It will be very different from what it is now, and all that we have traditionally done (perhaps amplified with new buzzwords and technology) will be insufficient. What does that rebirth look like, what does it mean for sales jobs and what we do? I don’t know–I have some speculative thoughts, all very incomplete. But I’ll cover these in Part 2 of this post. But as I came upon this revelation (perhaps, I’ve just been slow to recognize it), I became tremendously excited about the future of our profession. Both the challenge of figuring it out, and the prospect of the job opportunities, and growth within the profession are fantastic! I can’t imagine anything more exciting!